- How long have you played WoW: I started playing in Burning Crusade, while I was studying for exams in university. I started raiding in Wrath. - Prior guild(s) & your reasons for leaving: My current guild is Casually Competent. They’re a 2-night/week guild on Sargeras that a friend found and we both applied together. We had both been raiding in another 2-night/week guild on Sargeras. I’m leaving CC for a few reasons. My fiancee has requested that I find a way to free up some nights that currently conflict with my raiding schedule. I'm raiding Saturday/Sundays currently, and she's asked that I find a way to free up Friday and Saturday nights for social events, and Wednesdays would be nice too. I chatted with her about Simple Math last night while and she's given her blessing to apply (even though we would raid Wednesdays). The gm reached out to me yesterday and informed me that the guild will be stopping raiding, and so it's a natural time to find somewhere to raid. Finally, I’d like to return to 3 night/week raiding. 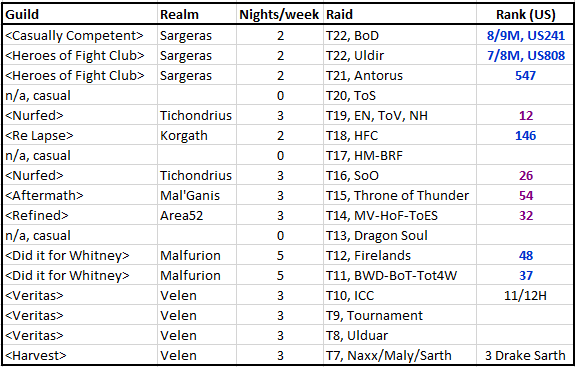 I’ve been 2-night/week raiding (mostly with McBubble, a friend from a former guild, on Mal'ganis actually) and I’d like to get back to 3, to focus on progression. I'd be happy to discuss my reasons for leaving any of the guilds on my raiding experience form, and I'm looking for a guild that will be a good long term fit. - Main-spec, off-spec, and how often do you play your off-spec? I play the spec/talents/azerite traits/trinkets best suited for progression on the bosses we're working on, and would be happy to discuss this further. I've been playing Fire for most of this tier, with Frost for a few bosses (recently, Stormwall Blockade). I've been Fire for Mythic Jaina due to the value of execute damage and mobility, and that it can comfortably play in melee range. - Explain your normal rotation and spell/ability priorities: Fire is a mobile spec with significant burst potential (ST and cleave), high execute damage, and these strengths have aligned with the meaningful damage requirements of BoD. I won't delve too deeply into the basics of mage rotation, but will focus on some nuances that separate elite mages from the average. The three that come to mind, areas of focus in my own play, are optimal movement, and optimizing burst windows, and utilizing execute on off targets to focus damage on a primary target. I record my streams and specifically look for opportunities to improve my movement. 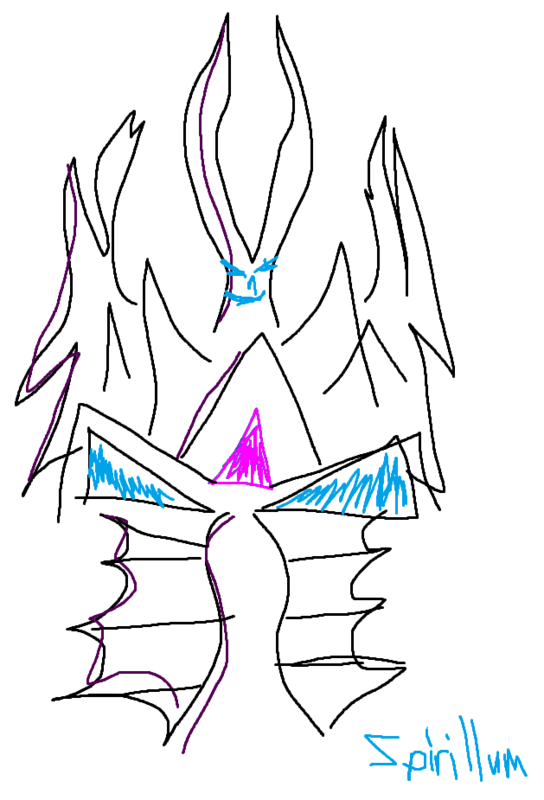 I colour code my Bigwigs bar and use Weakauras to anticipate any boss mechanics that would require me to move mid-cast, and have myself positioned to Shimmer. I use my GCDs to move without losing damage. I will always move to avoid critical damage, but will go back and see what could have been differently to potentially mitigate that damage loss. By optimizing burst windows, it depends on the talents and traits but the idea is the same. Pyroclasm and Rune of Power/Combustion are a good example. Knowing that you have time to complete a hardcast pyro in your burst window or if it will finish a fraction of a second afterwards has a significant impact on a mage's damage. Saving a Pyroclasm proc to follow a Combust if there's only 3.5 seconds remaining, and instead opting to Scorch and get another Hot Streak cast into your target is something that I see mages struggle with, particularly in a hectic moment on a mythic progression encounter. That's when damage matters most, and it can distinguish top players. Finally, I use mouseover & focus Scorch macros to execute secondary targets that are of low health as a single target DPS gain to primary targets. An example would be on Conclave, I'll focus our kill target and throw the Hot Streaks into Raptors. - Explain your choice of gear for main & offspecs (include stat priorities and breakpoints): I sim my character, which unfortunately is about what stat priorities have become. In general my character has been looking for haste and crit of late. In gear, azerite traits have been the driving force. Wildfire and Flash Freeze have been critical offensive traits this tier, where Blaster Master was in Uldir. My choice for gear is mostly resigned to trinkets at this stage, and whether or not the Oppulence trinket is viable. I've found that for most of the meaningful progression this tier, it has not been. On Rastakhan, the meaningful damage (Bwonsamdi phase) is when we're stacked. On Mekkatorque, the dps check was so soft that I felt it made more sense to shelf the trinket and make our healers' lives easier than to stand out of the group. It could have been accommodated, but I didn't think it was best for progression. Blockade and Jaina involve stacking for critical parts of the encounter so it was shelved there as well. - Where do you do most of your research & testing to improve your character? For researching my class and staying on top of the latest developments, there's the Mage discord. For mythic raiding, I have a number of friends who are in top raiding guilds and we discuss encounters, from the dungeon journal in the early stages to streams in the world first race, to our own experience as we progress. I watch a ton of mage perspective videos on Youtube, as I find that helps me to get myself to that "ready to kill on the first pull" level of preparation. To improve my character, I review my logs and review recordings of my stream. - Why should we accept you over anyone else of your class/spec? I'm an experienced high-end raider who takes performance seriously, can play any spec, shows up prepared, respects mechanics and survivability, always prioritizes meaningful damage over ranks. I'm a competitive individual, and I strive to achieve the very best that my character is capable of. Offline, I'm a professional engineer. Continuing education is a key aspect of my success in my career (I was promoted last year), and I bring that same attitude to my play. I try to go to Blizzcon every year. If you pick me, I'll buy you a beer. Fully custom **mage themed** liquid cooled build with dual loops. Monitors - Desk Mounted 3 over 1 setup. I have my Acer Predator X34 Pbmiphzx (lower level), and 3x Dell U2412Ms (upper level). I play on the lower monitor, and often have my desk in the standing position. 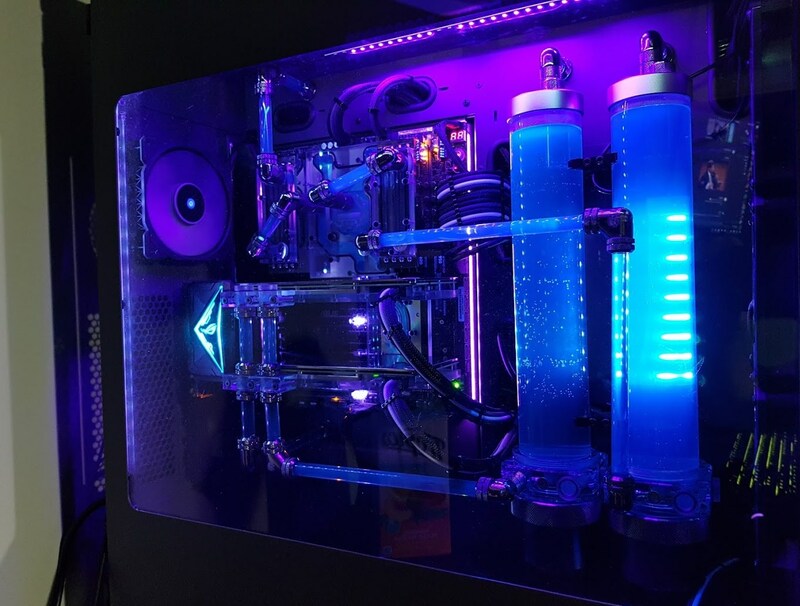 I recently made some aesthetic upgrades to the build, and added UV lights and reactive fluid. This is what it looks like now: https://i.imgur.com/o0kNh9p.jpg My frames in raid are buttery smooth. - Why Simple Math? How did you find us? Is there anyone you know in Simple Math? I put together an extensive list of guilds that are recruiting mages, and then reviewed that with my fiancee to find ones that would fit with our schedules. That was my first pass, and then I delved a little deeper to find ones where I thought there might be a good fit. Per my discussion this morning with Amoracchius, I have reached out to one other guild as well but as of yet I'm not sure they're looking to add a mage. I had some friends in the guild and that connection made them my first point of contact. I do not know anyone in Simple Math, but I raided on Mal'ganis with Aftermath in MoP and it's possible some of your members will remember me. 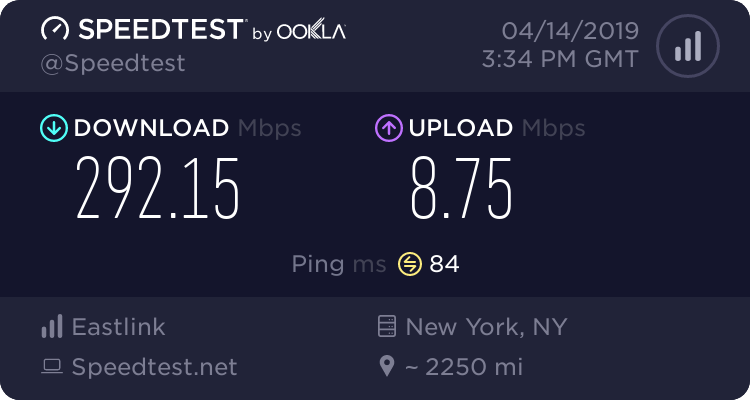 - Run a speed test and ping test targeting New York. Link the results below. 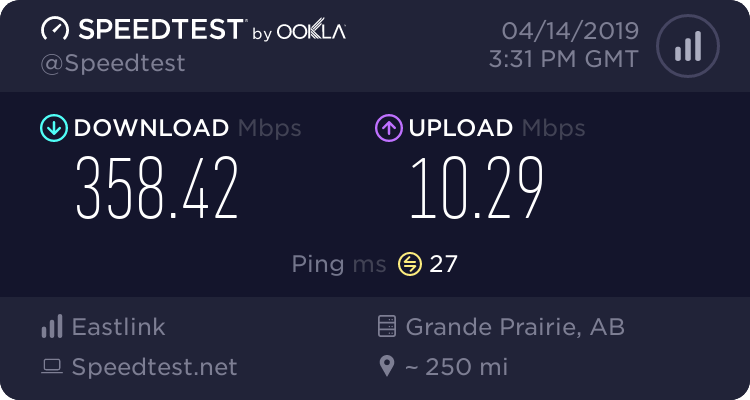 Speed: https://www.speedtest.net/result/8187643092.png Ping (I set a NY server): https://www.speedtest.net/result/8187647835.png I'm on a Mal'ganis toon as I write this and he has a ping of around ~100 ms.
As per our discord discussion, due to roster constraints we are going to pass on this app at this time. Best of luck to you in your guild search!